Located only 5 km from the beaches and many golf courses on the coast, the hotel will be the perfect starting point for discovering the Basque region and its beautiful countryside. 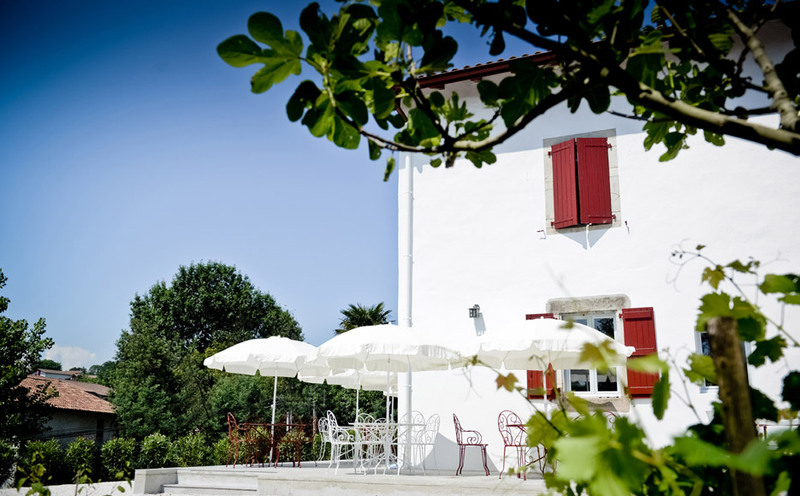 A fabulous location for this fully renovated farmers house : Ahetze, a peaceful small village only 10 min by car from Biarritz or St Jean de Luz. 3 star hotel in the Basque Region ! Fully renovated, our charming hotel in the Basque country has 12 rooms in a contemporary and elegant style. The rooms are ideal to spend the holidays as a couple, with friends or the entire family. We offer high quality service, especially for the breakfast. Parking places and wifi are free of charge. We also offer golf or surf packages both for beginners or the initiated. For your confort our hotel with Spa in the Basque country is equipped with a jacuzzi, shower and infrared sauna. Qualified staff will provide delightful massages and esthetic care for a lovely cocooning stay in our hotel in the Basque Region. Hotel on the Basque Shore, at the gates of Biarritz. You will be charmed by the location of our hotel at the cross roads of main itineraries in the Basque Country. You can discover amongst others the wonderful basque green hills, small villages such as Sare, the famous small Rhune train, Ainhoa, Saint-Pée-sur-Nivelle (with lake recreation), Ascain, Espelette, Itaxssou, Cambo, Arcangues or Arbonne within less than 30minutes’ drive by car. On top of that many activities in the Basque Country are waiting for you and are very close. You can surf on the Basque coast, play golf on 8 magnificent golf courses within a few kilometres. You can also discover the Basque Country with walks or hikes in the Basque hills and mountains. There’s gastronomic pleasure to be had, many traditional festivals that reflect the rich Basque history and culture. The Site of the Ocean (Cité de l’Océan), the ‘piment d’Espelette’, rejuvinating thalasso therapies on the Basque Coast and many other activities to be discoverd again and again in Euskadi ! Situated closely to Biarritz you can visit the Aquarium of Biarritz, The Cité of the Ocean and the Sea, the rock of the Virgin Mary, the impressive Lighthouse – amongst the most interesting sites of Basque culture ! 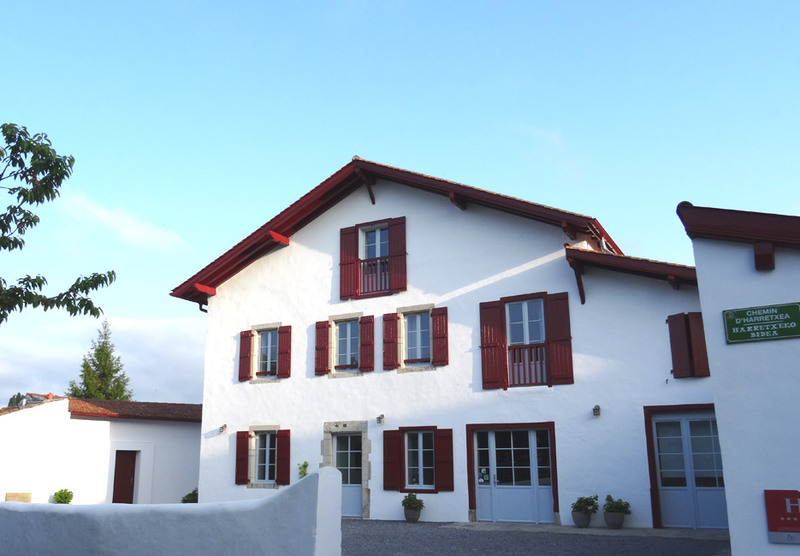 To be followed by… peace and calmness, the confort of this former Basque farmers house only for you ! Relax in our Spa, the sauna and jacuzzi, privatised for you. Enjoy the shade of the parasols on the terrace ! 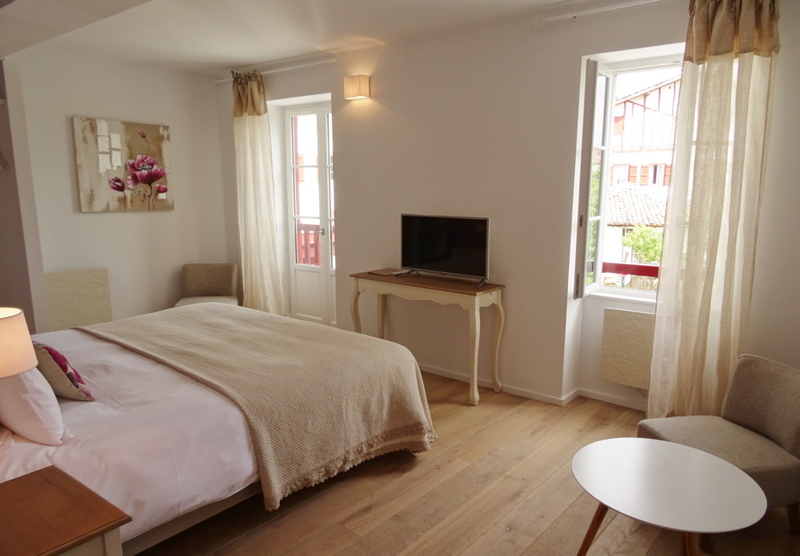 Or the spacious and confortable room in our romantic hotel situated in the Basque Country ! The entire staff of the hotel will do its utmost to make your stay a pleasant one. We deliver services and thoughtful attention to your stay so as you’ll feel truly at home ! All comfort of a charming hotel in a spirit of a guest house. Book without delay your stay in our excellent hotel on the Basque Coast.